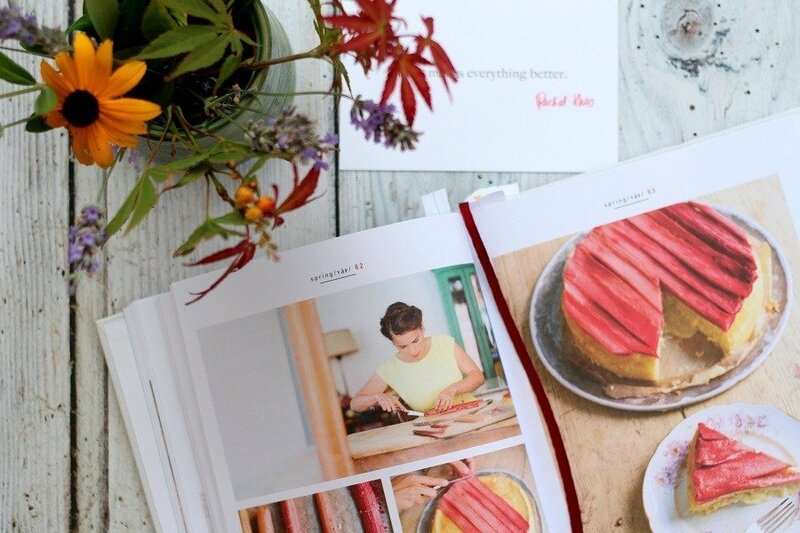 Rachel Khoo first came to my attention with the ‘The little Paris Kitchen’ in about 2012. I loved to watched her cook, admiring not only how gorgeous she was but how different she was from all the regular TV Cooks. She has a unique style. 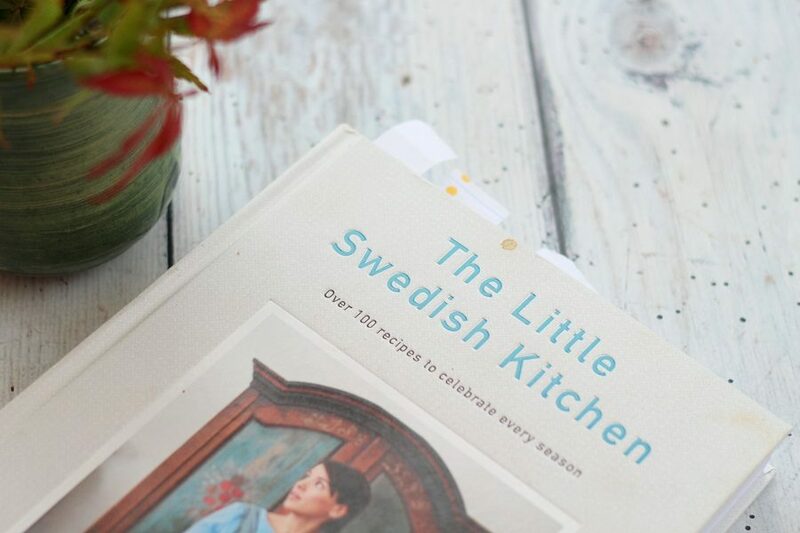 So when the publisher got in touch and offered me a copy of Rachel’s sixth book The little Swedish Kitchen I was intrigued to see if Rachel was still the same. 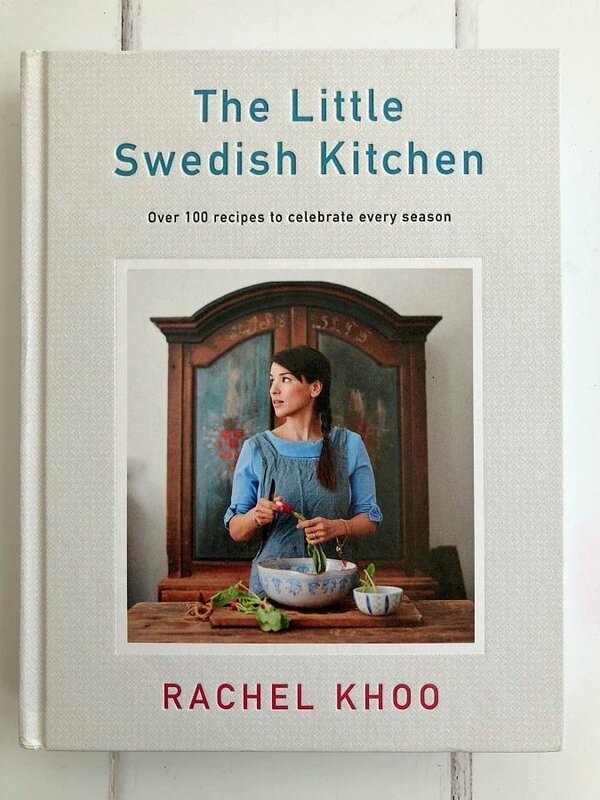 Rachel is not playing at the Swedish lifestyle, she is living it and let me tell you her new book does not disappoint. Happy to report that 6 years on she is still beautiful, still stylish and still a cut above the rest. 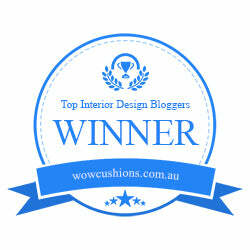 Whilst writing this post I discovered Khoolect a fabulous website about her family lifestyle, it even has beauty tips! 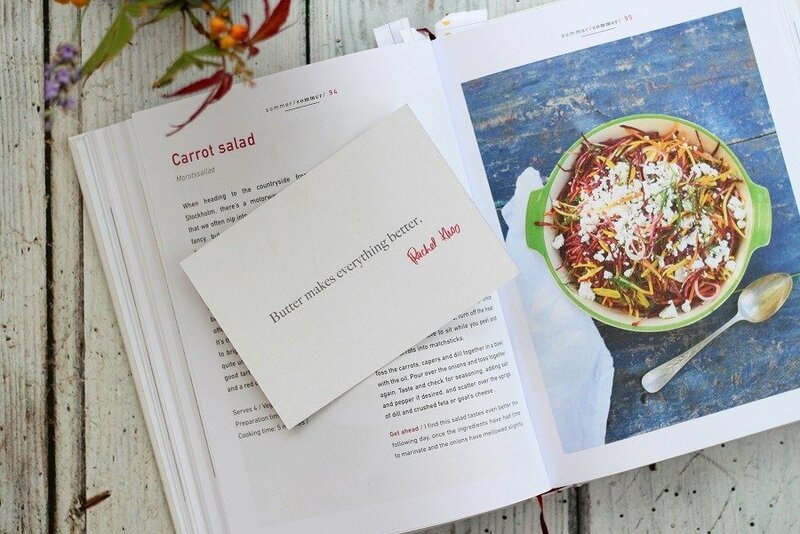 Rachel khoo now lives in Sweden, so she knows exactly what she is talking about. 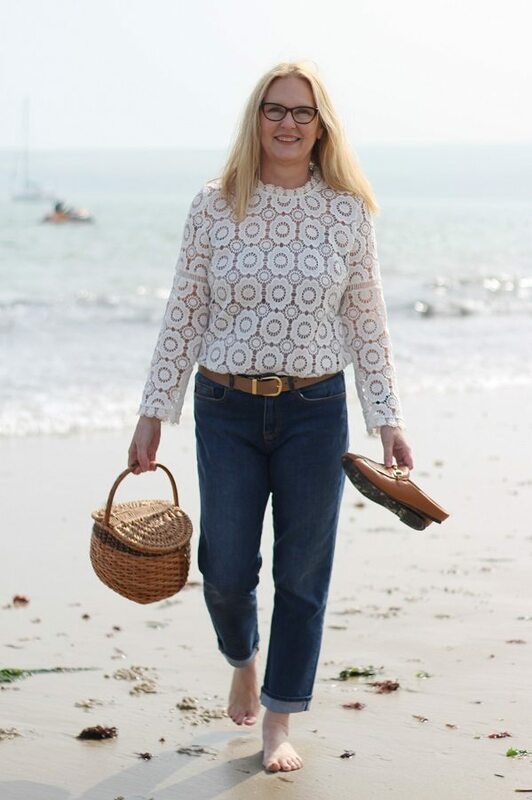 She is not playing at the Swedish lifestyle, she is living it and let me tell you her new book does not disappoint. 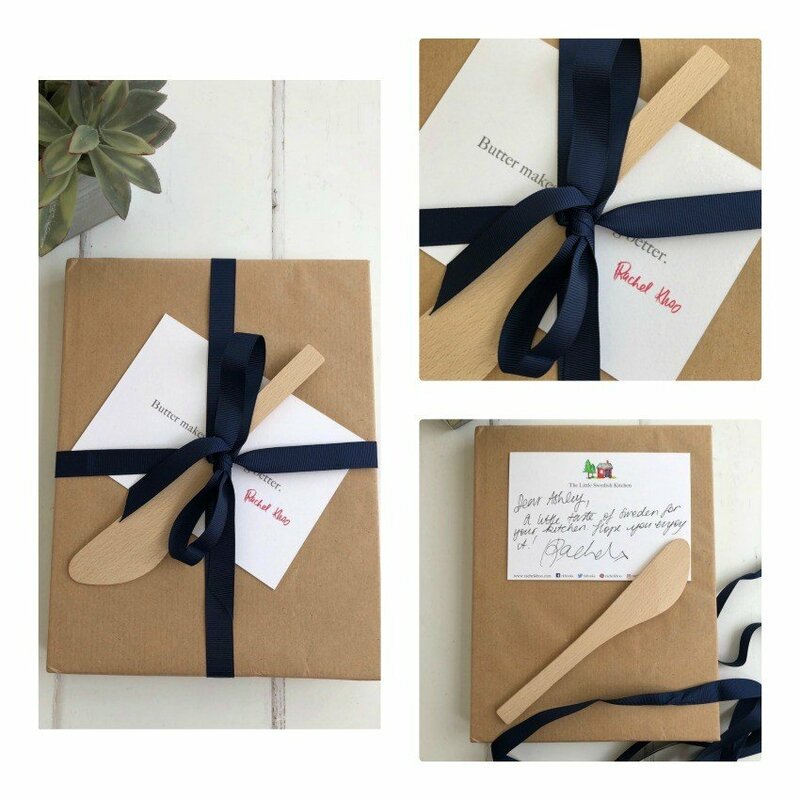 This gorgeous hardback book came gift wrapped with a wooden spoon and included a postcard to me, signed by Rachel! You may already know that I am not the cook in our house. Marc is, he enjoys finding new recipes to prepare for us all. Occasionally I sit in the kitchen with him as he cooks and we chat about life, sip wine, whilst delicious aromas arise from his stove. Cooking happens more in Winter, because our summers are all about salads and lunch outside at out local pub. You even get the name of the recipe in swedish, it’s the little things that make this book authentic. What can I say, delicious doesn’t cover it, perfection on a plate, subtly tasty, healthy and will be made again and again in our house! Swedish: Sallad med rödkål och äpple. How I measure the Success of a new cookbook. Some of our cookbooks, are used once and are put away on the shelf in the other room. A couple of cookbooks live in the kitchen cupboard for ease of use. The best ones become food splashed, earmarked and have torn bits of paper in them marking the next recipe that will be made from it. These books live on the kitchen table. I can tell you they are few and far between! Can you guess how successful this one was from the picture below? The best ones become food splashed, earmarked and have torn bits of paper in them marking the next recipe that will be made from it. Yes, I was sent this wonderful book as a gift for review purposes and I’m thankful for that. It changed the way we ate this summer. Therefore I urge you to try it for yourself, you won’t regret it! I was sent this wonderful book as a gift for review purposes. I'm so glad I was as it has changed the way we ate this summer. I urge you to try it! I love books like that. And how nice that it was sent to you in such a fun way! And signed!!! Lucky you that your husband is the cook. Thank you Cindy, I love this swedish one, it has a twist on all the foods you thought you knew! Yes the wrapping was such fun and we use the little spoon all the time! What a lovely gift to receive. Love how it was wrapped. Looks like the recipe turned out great. 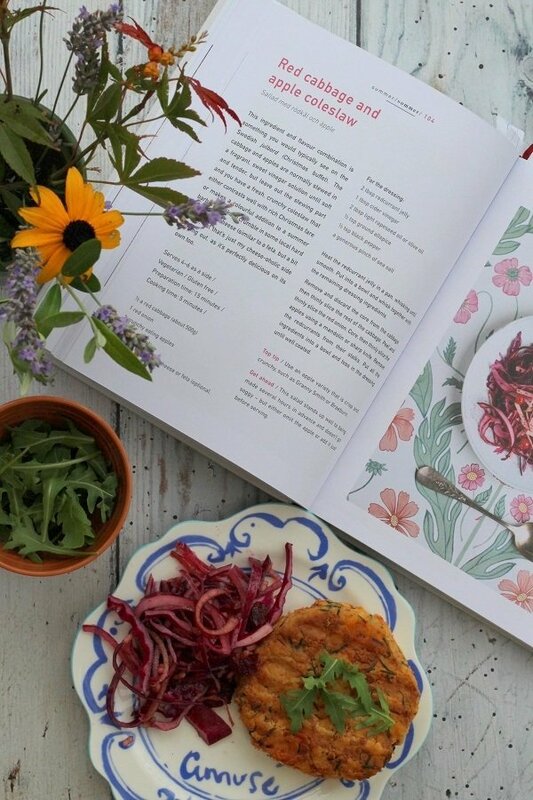 Hi Shirley, it is a lovely book and the recipes are so achievable too. 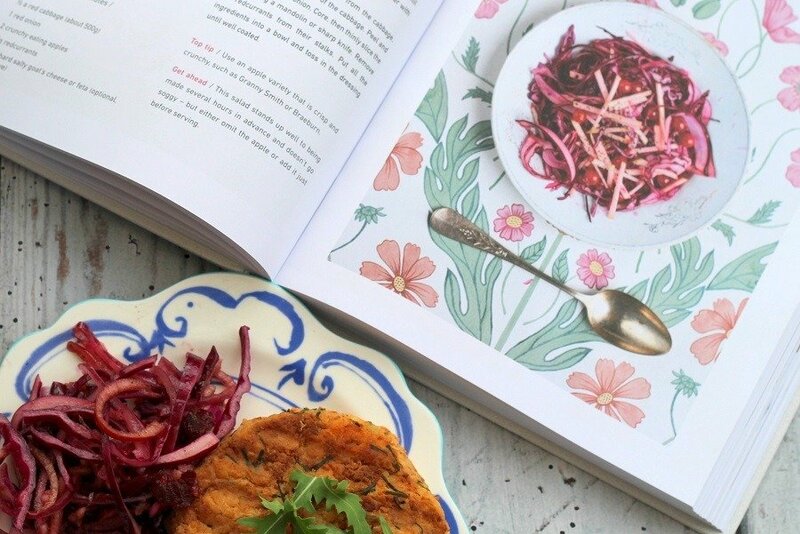 I loved the Paris cookbook, which I found out about due to the tv series. 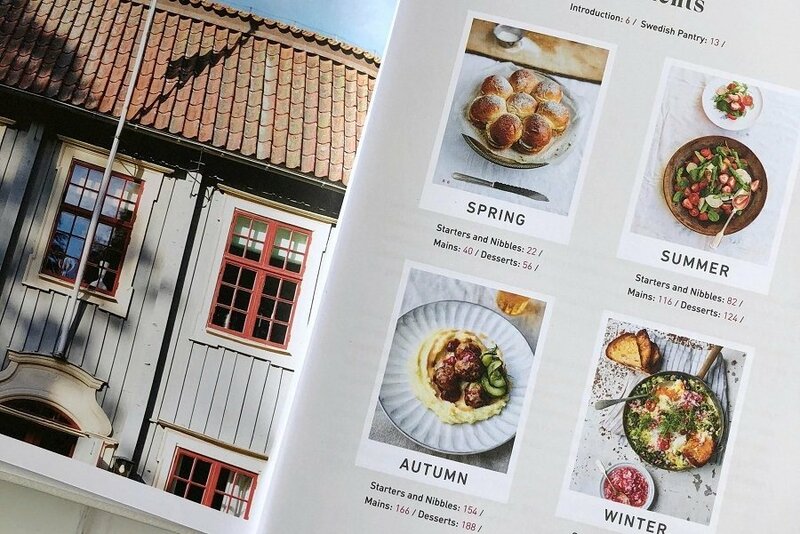 I live in Denmark, so this Swedish one may have recipes more familiar to me than to most people, but with Rachel’s take on them. It may just get put on my Christmas wish list! I love this book, we have now used it quite a few times! the cover is getting messier with each recipe! I can highly recommend it to you!